Alright, it has been 24 hours from Part 1 and I am super excited to strain my cold brew. 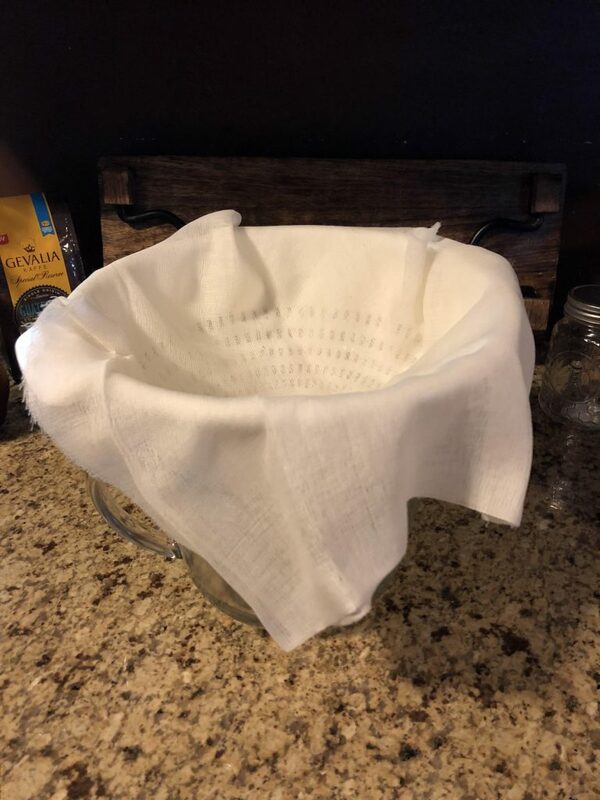 Are used a large glass measuring bowl with a strainer on top, and the cheese cloth on top of that. I just pour the liquid out and if any of the coffee grounds came out they were immediately caught by the cheesecloth. I ring out the cheesecloth to make sure that I got out all of the coffee brew. I then simply threw away the cheesecloth. once all of the cold brew mixture was in the glass pitcher, I poured it into another glass pitcher to be stored into the fridge. 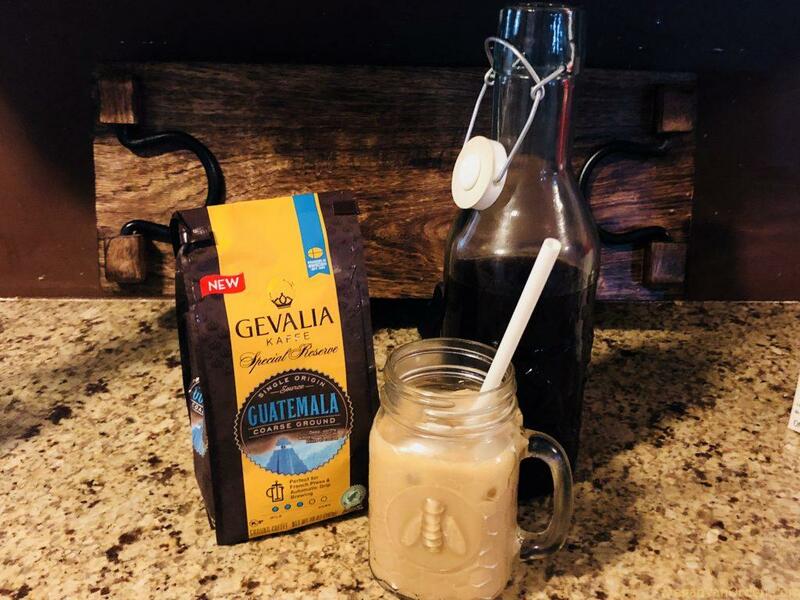 In making the cold brew I wanted to have simple syrup and cream. 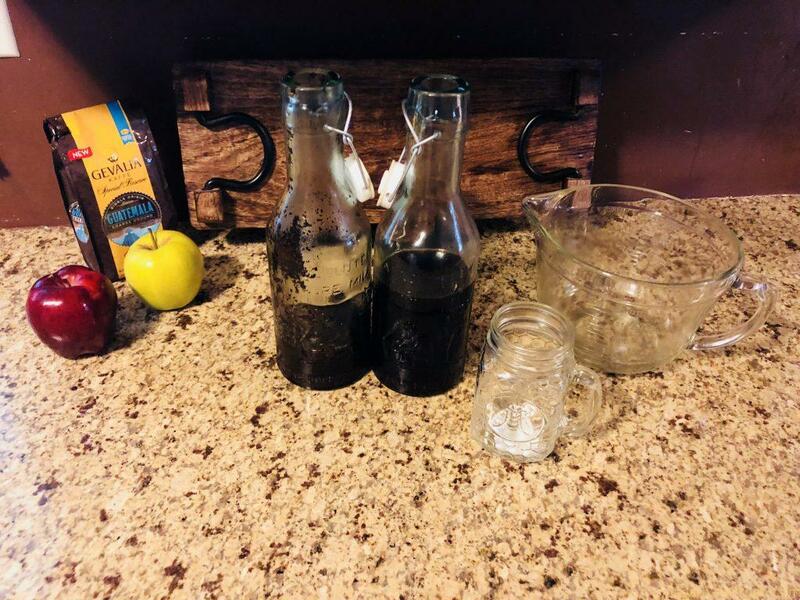 Simple syrup is simply water with sugar melted in the water. 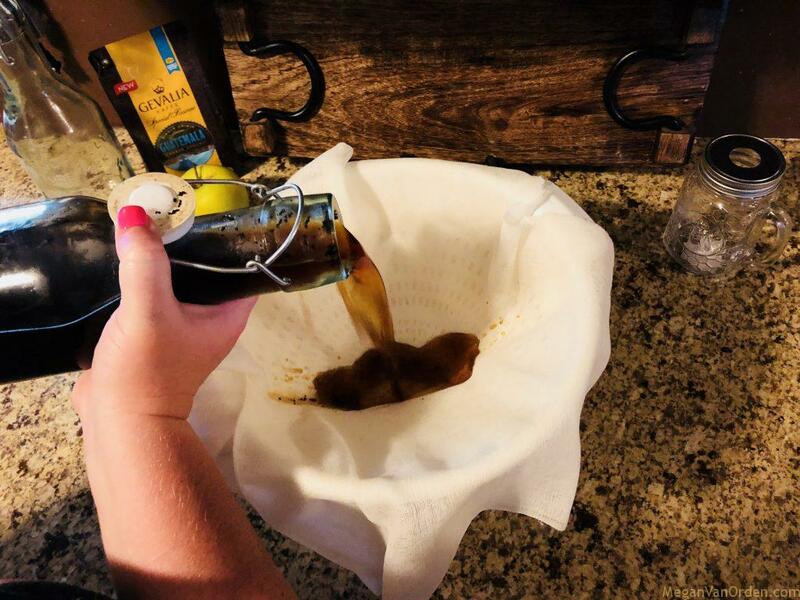 To make simple syrup you just use equal parts water to equal parts sugar, for example one cup of sugar to one cup of water. I made a larger batch to keep in the fridge. I also purchased half-and-half from my local grocery store because I enjoy cream in my coffee. The Turtle Slime Bath Bomb from L. U. S. H.